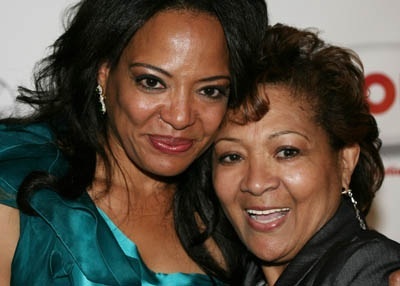 Lauren Vélez is returning to the boards in the solo show They Call Me La Lupe. Written by Luis Caballero and James Manos, Jr. and directed by Verónica Caicedo, the play deals with the tumultuous life of controversial Cuban songstress Victoria Guadalupe Yolí Raymond (aka La Lupe, La Yiyiyi and The Queen of Latin Soul). Produced by Teatro LATEA and Dura Vida Productions, the show is scheduled for a January run at LATEA's eponymous theater in the Clemente Soto Vélez Cultural and Educational Center (home to HOLA) in the Loísaida neighborhood of Manhattan. 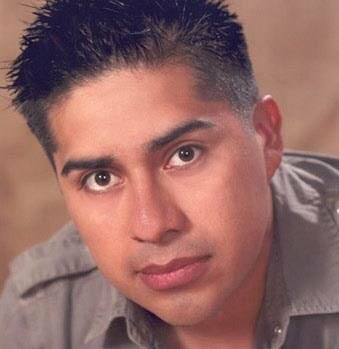 Mike Smith Rivera booked two radio and TV commercials (in English and Spanish) for Church's Chicken. Wanda Arriaga and Gredivel Vásquez headline a remounting of Carlos Ferrari's El insólito caso de Mis' Piña Colada. Directed by René Buch and produced by Repertorio Español, the play, which also stars Iliana Guibert, Ricardo Hinoa, Mario Mattei and Rita Ortiz, is being presented for a December and January run at the Puerto Rican Traveling Theater in the theater district of midtown Manhattan. Below is a list of new (and returning) HOLA members who joined between November 1, 2010 and December 31, 2010. (Top row, left to right): Yanelba Ferreira, Rasbell Gil; (second row, left to right): Diana Carolina González, Ana Grosse; (third row, left to right): Israel Hernández, Jamie Lozano; (fourth row, left to right): Joseph Menchaca, Alexander Pimentel; (fifth row, left to right): Marco Antonio Rodríguez, Rosa Rodríguez; (sixth row, left to right): Jesús Sánchez, Ziad Tayeh; (seventh row, left to right): Nathalie Tolentino, William J. Vila. Gilbert Cruz can be seen in an episode of "In Treatment" (HBO) as a cop. 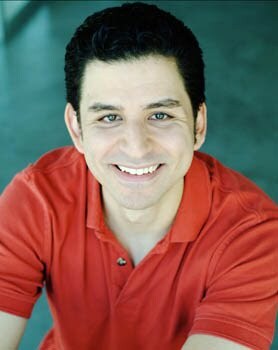 Éric-Dominique Pérez booked a Spanish-language voiceover for Home Depot. 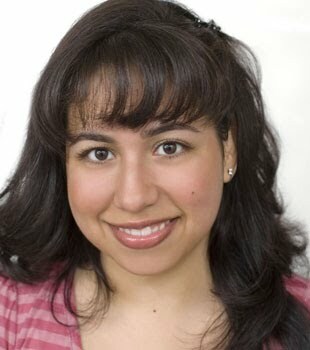 Blanca Vásquez booked a Spanish-language voiceover commercial for Chrysler where she voiced a little girl. Gerardo Gudiño and Mónica Pérez Brandes is scheduled to act in the Indira Páez play Mujeres de par en par. Directed by Alfonso Rey, the play also features Yanko Bakulic, Malena Ramírez and Zulema Clares and is scheduled to take place at Repertorio Español in the Rose Hill section of Manhattan. Angelina Llongueras' play Lo Mein and Tequila has been selected for a February 2011 production at the Ross Valley Players in Ross, California as part of its RAW (Ross Alternative Works) Festival. Check out this article on longtime HOLA member Coati Mundi in The Village Voice by clicking here. 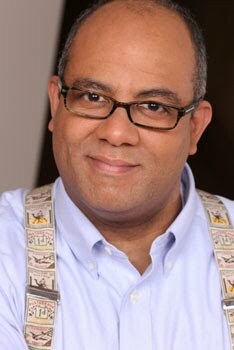 He is an actor and musician who is known for being in Dr. Buzzard's Original Savannah Band and Kid Creole and the Coconuts. "I'm A Wonderful Thing, Baby (live)"
Issy Tavares, left and in character at right, e-mailed us to let us know that he was cast as a Mayan warrior in a TV special for The History Channel after the casting director saw his photo in the HOLA online talent directory. 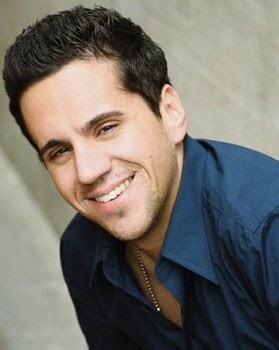 He adds, "Thank you for helping me rise in the entertainment industry." The Society of Educational Arts/Sociedad Educativa de los Artes is presenting their show La muela del rey Farfán. A zarzuela written by brothers Serafín Álvarez Quintero and Joaquín Álvarez Quintero, the production is directed by Manuel A. Morán and will be presented for a December run in the Teatro Francisco Arriví in San Juan, Puerto Rico. The cast includes Morán, Jesús E. Martínez and Francisco Fuertes. Danisarte presented Pasaporte Cultural, a series of short plays for children, for a December run at the Julia de Burgos Cultural Center in Manhattan's El Barrio neighborhood. The plays were written by Leandro Comrie, Sonia Suárez Schwartz and Juan Guzmán and featured Edison Carrera, Alicia Kaplan, Noëlle Mauri, Julio Ortega and Miguel Rangel in the cast. Willets Point, the film written and directed by T.J. Collins, is playing in art house theaters in New York. The film stars Lorraine Rodríguez, Alfredo Romeo Suárez and Milagros Rivera. A.B. Lugo, Venuz Delmar and Mateo Gómez are set to appear in Cynthia and Michael Marion's musical Is There Room in Your Heart? The show, directed by José A. Esquea (with musical direction by Marta Ann Dees and choreography by Basil Rojas) is being produced by Teatro LATEA and Say What? 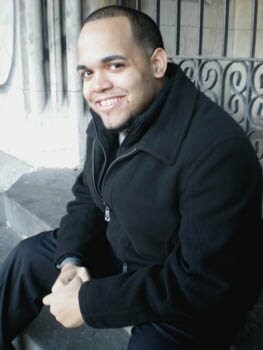 NYC Productions and is scheduled for a December run in LATEA's eponymous theater in the Clemente Soto Vélez Cultural and Educational Theater (home to HOLA) in Manhattan's Loísaida neighborhood. Jesse Galvá n, left, e-mailed us to inform us that herecently shot an educational video about water conservation; he was cast from the HOLA website. Some of Frank Craven's artwork is on display at the Lafayette Grill and Bar in the Tribeca neighborhood of Manhattan and will be on exhibition through January 2011. 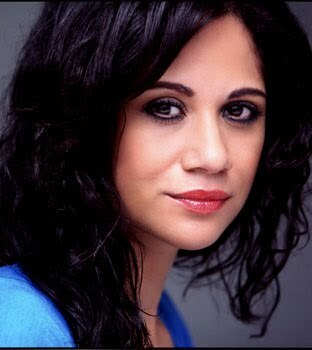 Soledad Del Río is set to appear in Jack Heifner's new comedy Vanities. 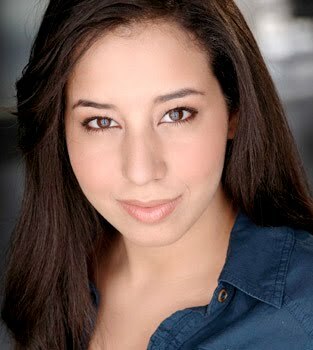 The show, directed by Estela Straus, also features Juliana Klein and Isadora Vasconcellos and is scheduled for a December run at the Bruckner Bar and Grill in the Mott Haven section of the South Bronx. 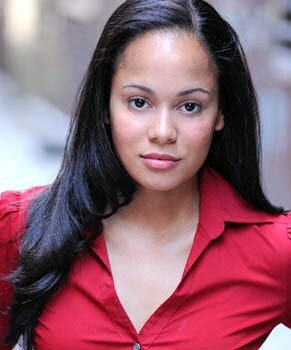 Gladys K. Nilsen is set to do a cabaret gig this month at the Iguana VIP Lounge in the West Side of Manhattan. Caridad De La Luz is set to perform with multi-Grammy nomine Bobby Sanábria and his band Cachimbo at the FB Lounge in Manhattan's El Barrio neighborhood. Modesto Lacén just wrapped up producing Sunilda Caraballo's solo show Hardware Dreams at Theater for the New City and will follow that up with portraying the Brazilian sculptor Antônio Francisco Lisboa (also known as O Aleijadinho) in the NY Artists Unlimited/Montauk Theatre Productions' Black Gold - the Passion of Aleijadinho. Written and directed by Melba LaRose, the show is scheduled for a December run at the Shooting Star Theatre at the South Street Seaport in Manhattan. Blanca Vásquez recorded voiceovers of two different characters for a children's interactive iPad application called "Goodie Words," recorded audiobooks for Audible.com and recorded educational books for Pearson Education. Éric-Dominique Pérez had a sold out performance of his self-penned solo show El Gringuito (directed by A.B. 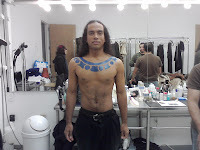 Lugo) at Theatre Row Studios in the theater district of midtown Manhattan. 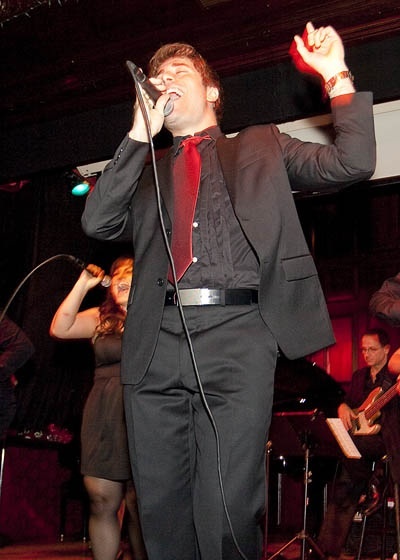 He will next perform the show in December at The PIT (People's Improv Theater) in Manhattan's Chelsea neighborhood. Gladys K. Nilsen e-mailed us to let us know that she sang a repertoire of songs in English, Spanish and French, as well as a tribute to the Chilean miners at the restaurant ETC. ETC. located in the theater district of midtown Manhattan. Actor-dancer-choreographer Milteri Tucker brought a dance program to the Alvin Ailey Dance Theater in the Columbus Circle area of Manhattan. She and a company of nine performed a number she choreographed; it marked the first time the Afro-Puerto Rican dance bomba was presented on that stage. Angelina Llongueras e-mailed us to let us know that her self-penned solo show Phoolan is Everyone was invited to perform in the Festival de Mujeres en Escena por la Paz: Memoria e Independencia and Festival de Teatro Contemporáneo de Mujeres theater festivals, in Bogotá and Cali, Colombia, respectively. FELT and Clemente Soto Vélez Cultural and Educational Center (the latter home to HOLA) is set to present The Pins and Needles of the Heart. 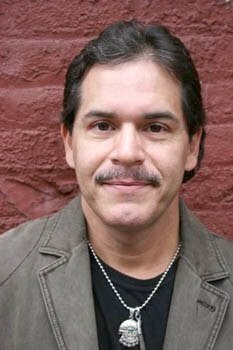 Written and directed by Arcadio Ruiz Castellanos, the play is produced by Gloria Zelaya, is scheduled for a December run in the Flamboyán Theater in the CSV Center (located in Manhattan's Loísaida neighborhood) and features Jorge Hoyos, J.W. Cortés, Cristina Rodríguez, Paul Cosentino and Joanna Blais in the cast. 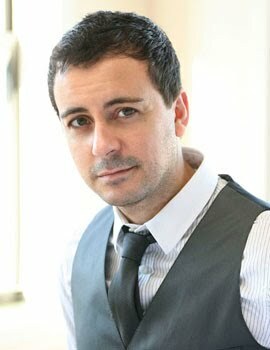 Tony Chiroldes booked the audiobook narration for the Spanish language version of Ricky Martin's memoir Me (naturally titled in Spanish, Yo). Below is a list of new (and returning) HOLA members who joined between September 1, 2010 and October 31, 2010. (Top row, left to right): Miguel Belmonte, Melita Camilo; (second row, left to right): Koko De Jesús, Henry Gaínza; (third row, left to right): Richard Gómez, Susanna Guzmán; (fourth row, left to right): Laura Lona, Ignacio Meneses. 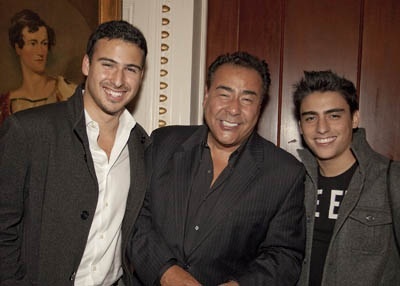 Soloists: Henry Gaínza, Yuri Rodríguez and Mariand Torres. Performers: Janet Dacal, Jace Coronado, Omar López Coronado, José Luaces, Anthony Michael Martínez, Stephanie Martínez, Hjordy's Matos, Joline Mujica, Skie Ocasio, Karina Ortiz, Andrea Sousa. Musicians: Enrique De La Torre, Leo Huppert, Robin Lobe, Matt Zebroski. 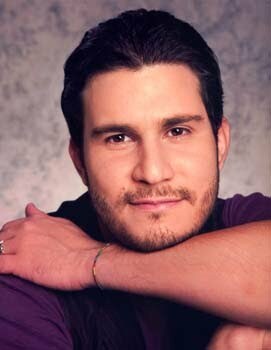 Musical Direction and Arrangements: Jaime Lozano. 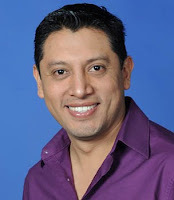 Director of Entertainment: Henry Gaínza. Lucio Fernández's music video for "Morena linda" off his CD Enamorado can be seen here. For more information, click here. To buy the song, click here. Inma Heredia is presenting her solo show My Audition for Almodóvar (co-written and directed by Alberto Ferreras) at Centro Español in Manhattan's West Village. For more information, click here. To see an interview she and the director did for NY1 Noticias, click here (interview is in Spanish). 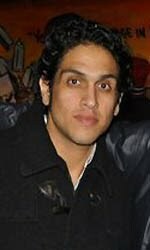 Alberto Bonilla will be acting in Oasis, a play by Allen Davis III. Directed by Katrin Hilbe and produced by the Dramatic Question Theatre Company, the play will be on a double bill with George Joshua's Last Train to San Francisco and performed at Klimat in Manhattan's East Village. Emmanuelle Bordas e-mailed us to let us that she booked the role of Liliana, the bubbly Hispanic receptionist in the web soap opera "Hospital Hope" and that she is doing a lot of Spanish language voiceovers and supervision of talent for Transperfect. Éric-Dominique Pérez will be presenting his self-penned solo show El Gringuito at Theatre Row Theatre in the theater district of as part of the United Solo Theater Festival. 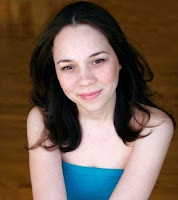 Venuz Delmar is acting in Federico García Lorca's Yerma. Directed by Yossi Yzraely, the show will be performed at the Frederick Loewe Theatre in the Upper East Side of Manhattan. Teatro LATEA will be presenting the musical Is There Room In Your Heart? 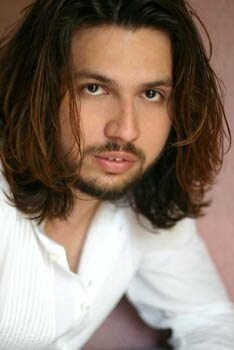 A musical about the homeless, it was written by Michael F. and Cynthia S. Marion and is directed by José A. Esquea. Scheduled for a December run, the show will take place at LATEA's eponymous theater in the Clemente Soto Vélez Cultural and Educational Center (home to HOLA) and will feature Sevans Callaghan, Mahammatt Baba, Howard Collado, Venuz Delmar, Mateo Gómez, A.B. 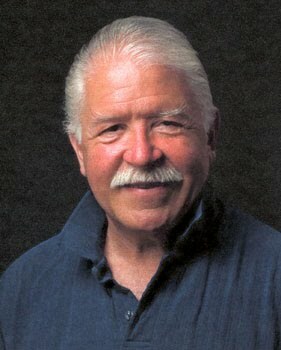 Lugo, Andrés Chulisi Rodríguez, J.F. Seary, Jeannie Sol, Carissa Jocétt Toro, Victor Arnez, Amanda Idoko, Ann Flanigan, Folami Williams, Ashton Pina and others in the cast. A.B. Lugo has been quite busy as of late. He will be performing in the musical Is There Room in Your Heart? at Teatro LATEA (see above), directing Éric-Dominique Pérez's El Gringuito at Theatre Row Theatres (see above) and flying to Puerto Rico to see his play Emboscada get produced at the Teatro Arcelay for the XXXII Festival de Teatro de Caguas. 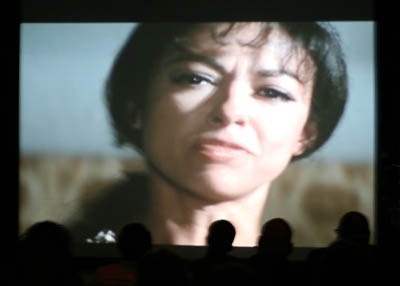 Directed by Emineh de Lourdes, Emboscada features Amneris Morales, Belange Rodríguez, José Brocco, Jandrés Burgos and José Luis Gutiérrez in the cast. The Society for the Educational Arts/Sociedad Educativa de las Artes (SEA) is having their fifth annual BORIMIX Puerto Rico Festival. Running throughout the month of November and dedicated to Pura Belpré, author-librarian-puppeteer-storyteller, this multidisciplinary festival (produced by Manuel A. Morán) showcases Puerto Rican artists whether island- or mainland-born. This is the first year that the festival will be in many locations. Some of the festival offerings are below. • Caridad De La Luz will lead a poetry and spoken word performance workshop at El Museo Del Barrio in Manhattan's El Barrio neighborhood. • Andrea Sousa will star in La cucarachita Martina/Martina The Little Roach, a Latino rock and roll musical based on the Puerto Rican and Cuban folktale. 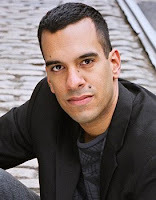 The production, directed by Manuel A. Morán, will take place at the Puerto Rican Traveling Theatre in the theater district of midtown Manhattan. 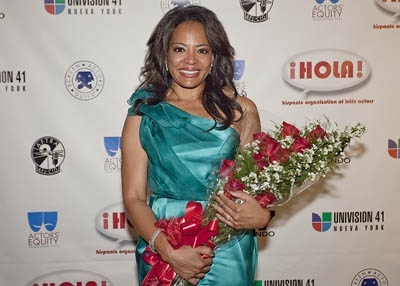 • Lauren Vélez will present El color de la guayaba, the latest film by Luis Caballero. This U.S. premiere will take place at Baruch College in the Gramercy section of Manhattan. 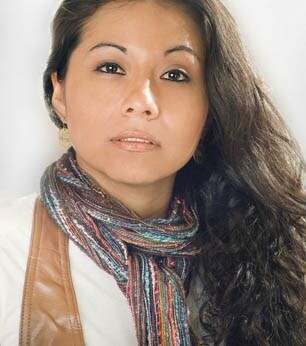 • Sunilda Caraballo will present her self-penned solo show Hardware Dreams. Produced by Modesto Lacén and Nueva Escena, the production will take place at the Theater for the New City in Manhattan's East Village. 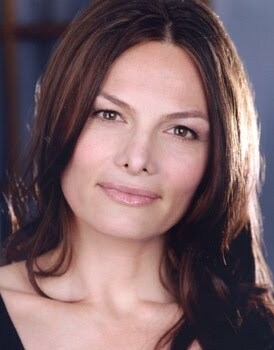 • Lina Sarrello wrote and acted in a film called The Talk. The film, which also stars Rebeca Díaz, Paola Poucel and Joshua Taveras, will be shown at Baruch College in the Gramercy section of Manhattan. One of her paintings will also be shown in the gallery of the Clemente Soto Vélez Cultural and Educational Center (home to HOLA) as part of the Veuve Cucaracha exhibit. • SEA will also present this year's BORIMIX Awards to several individuals who have made a significant contributions to the arts. 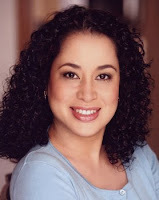 They include Miriam Cruz, Caridad De La Luz and Lauren Vélez. For more information on the BORIMIX festival, click here. 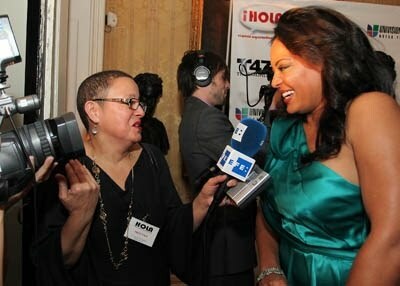 The 2010 HOLA Awards Gala and Benefit on Monday, October 18th, was a complete success. There were so many highlights-- the red carpet arrivals (including appearances by luminaries such as Lin-Manuel Miranda, Emilio Delgado, Ada Maris, Dominic Colón and Douglas Santiago), the performances by Broadway singer-dancers, the witty banter of masters of ceremonies Jorge Ramos and Odalys Molina, the fantastic speeches by honorees John Quiñones, Robin De Jesús, José Yenque, Tony Plana and Lauren Vélez and the theater awardees, the fantastic food (including the special 35th anniversary cake made by Susan Gambelli Custom Cakes), the camaraderie between some the finest performers in the New York Latino arts community. A good time was had by all. 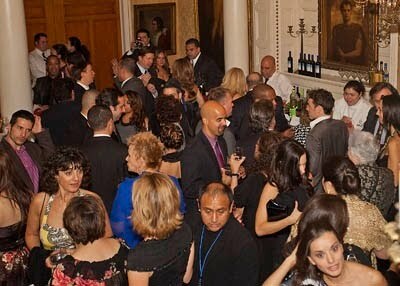 Check out the photos from the event taken by ARuiz Photography. 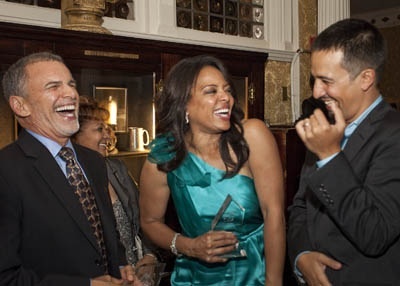 The creation of an alliance of nine award winning New York City Latino theaters was announced on Monday, October 4, 2010 during New York City’s Latin Media and Entertainment Commission’s opening reception for this year’s Latin Media and Entertainment Week. 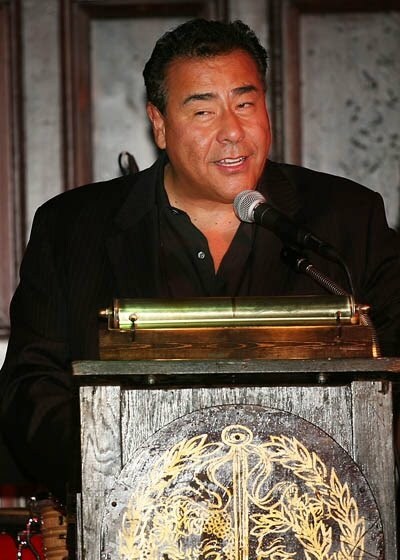 Carlos Manzano, the Executive Director of the Latin Media and Entertainment Commission made the announcement on behalf of the newly formed Alliance of Teatros Latinos New York. In attendance were New York City Deputy Mayor Carol Robles Román; New York City Department of Cultural Affairs Commissioner Kate Levin; Latin Media and Entertainment Commissioner Mario Baeza; Carlos Sánchez of Telemundo 47; Ramón Pineda of Univision 41 and the hosts for the evening, Lisa García-Quiroz and Daniel Osheyack from Time Warner. 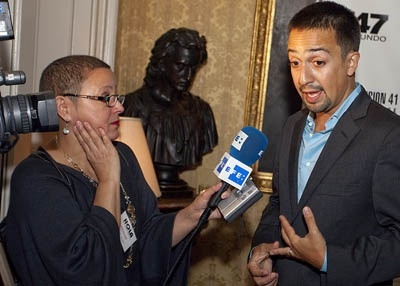 Forming part of the Alliance of Teatros Latinos New York are nine award-winning organizations including INTAR, Teatro IATI, LATEA, Pregones, Repertorio Español, Teatro Círculo, Thalía Spanish Theatre, SEA and the Puerto Rican Traveling Theatre. These nine organizations report a total 750-800 employees, combined revenues of $6.5 million as well as total audiences of over 300,000 annually. 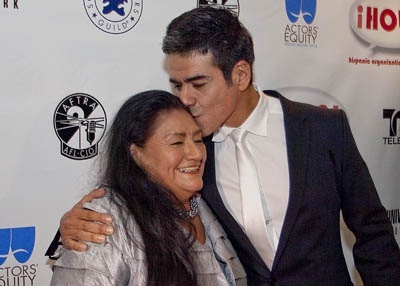 The mission of the Alliance is to advocate on behalf of a strong Latino sector within New York’s competitive nonprofit theater and performing arts fields. To its membership, the Alliance provides a common platform for leadership development, strategic resource sharing, and building brand visibility. Member organizations are longtime theater companies running a full range of performance and education programs in Spanish and English. Together, the consortium serves a diverse and growing audience from all five NYC boroughs and the greater metropolitan area. All segments of this population —including largely underserved youth and the elderly— benefit from affordable access to new and classical theater works, cultural heritage preservation, and public dialogue. These ongoing accomplishments have earned the Alliance membership numerous merit and media recognitions at the local, national, and international levels. A high resolution photo with Commissioner Levin, Commissioner Baeza and the Executive Directors of Alliance theaters is available at: http://bit.ly/alliancephotos. Based on East 4th St. in Manhattan, Teatro Círculo Ltd. is a theater company committed to preserving and promoting our cultural heritage through the presentation of creative, inclusive and educational theater works. It is its purpose to expose the public to the best works of Spanish and Latin American playwrights, both contemporary and classical. The company's main programs include their Main Stage NY Seasons, touring throughout the US and abroad, Training Unit Program for professional Latino actors and Educational Programs at NYC public schools. Since its inception in 1994 Teatro Círculo has received over 45 ACE & HOLA Awards as well as an OBIE Award for artistic excellence. IATI is a New York-based, non-profit theater organization established in 1968, dedicated to serve all audiences in Spanish and English languages. 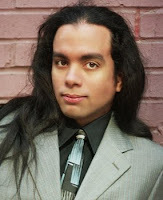 The theater’s mission is to perform and promote contemporary Latino heritage through full productions in theatre, music and dance, as well as staged readings and workshops, serving as a bridge between artists and underserved communities at its New York home in the Lower East Side as well as on national and international tours. The theater’s vision is to bring art into the lives of those in poverty, ethnic and cultural isolation. IATI’s artists address contemporary issues of broad human interest and frame them in an appropriate cultural context of powerful social impact to provoke introspection and social awareness. The Company is also devoted to the emergence of new artistic talents in the disciplines of theater, music, and dance, providing the training and encouraging fulfilling their dreams. INTAR is an organization committed to the development of "theater arts without borders." Over the past four decades, INTAR has produced classics, Latino adaptations of classics, cabarets, and 70 world premieres of plays written by Latino-Americans, including 2005 Oscar nominee José Rivera and Pulitzer Prize recipient Nilo Cruz. To date, the theater has commissioned, developed, and produced works by more than 175 Latino writers, composers, and choreographers. 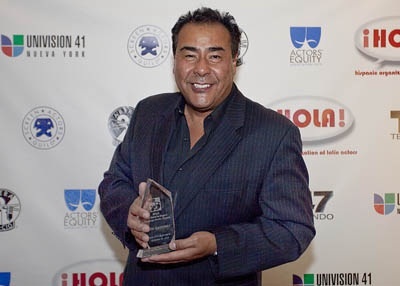 It has assisted hundreds of Latino playwrights, directors, and actors in obtaining their first professional theater credits, union memberships, and reviews in English-language media. "There's scarcely a Latino artist in America who hasn't been supported or trained or produced by INTAR," according to The New York Times. 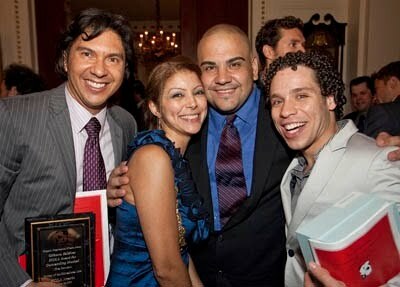 Established in 1982 LATEA is one of New York’s premier and highly regarded off-off Broadway Latino theaters. 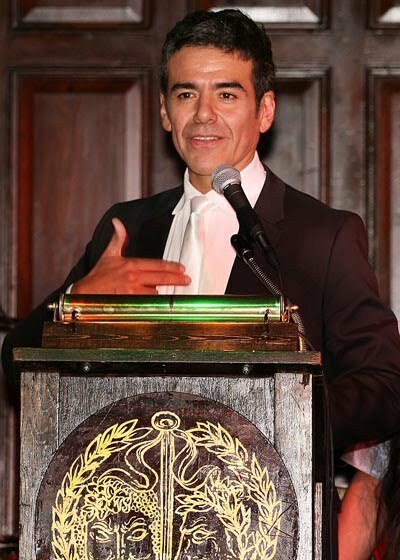 It was founded and operates under the direction of two well-known professional stage, film and television actors who are committed to providing opportunities to New York’s emerging and professional artists, especially Latinos who would otherwise not have the resources or affordable physical facilities to exhibit their works and talents. As arts advocates, LATEA’s founders took the initiative of providing much needed leadership to secure and safeguard the continued use of their city-owned property, a struggle that led to the creation of the Clemente Soto Vélez Cultural & Educational Center, where the theater is housed. LATEA’s mission is to foster, preserve, promote and maintain the history, literature, cultural values and heritage of the Latin American people, including the Caribbean. To educate North American audiences and the general public of the contributions made by Latinos and to demonstrate the universality of beliefs that bind us all together as universal human beings. Founded in 1979, Pregones Theater is a Bronx-based ensemble whose mission is (1) to create and perform original musical theater and plays rooted in Puerto Rican/Latino cultures, and (2) to present other performing artists who share our twin commitment to the arts and civic enrichment. 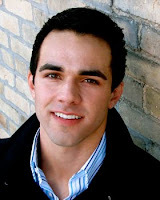 The ensemble is known for mining connections between theater and popular culture, for creating plays with dynamic visual and rhythmic character, and for galvanizing multiple generations of theater goers and aspiring artists. 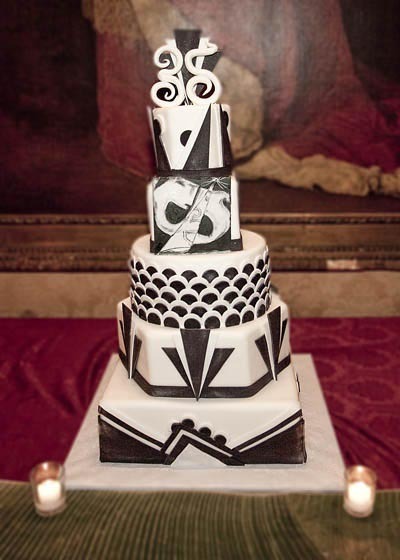 The company owns and operates its own professional theater in the South Bronx. With an exciting year-round calendar of performing events, Pregones Theater is quickly becoming an arts destination of city-wide appeal. 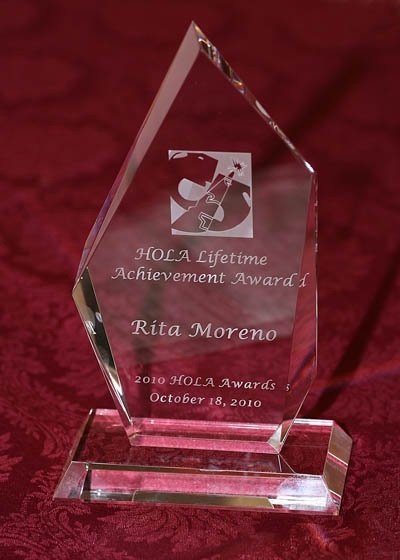 Numerous awards include: Primary Cultural Institution Designation from the New York State Council on the Arts, New York State Governor’s Arts Award and the prestigious Duke/Mellon Leading National Ensemble Theater recognition. The Puerto Rican Traveling Theatre’s (PRTT) mission is to advance bilingual Puerto Rican and Latino dramaturgy, theatrical performance, and performing arts training and thus to enrich the professional theater and national culture. PRTT was founded in 1967 by Miriam Colón Valle following the highly successful run of the English-language production of The Oxcart, René Marqués classic drama of Puerto Rican migration. The play was directed by acclaimed director Lloyd Richards and starred Miriam Colón, the late Raul Juliá and Lucy Boscana. This initial summer production helped launch the Spanish bilingual theater movement and led to the creation of a major cultural legacy for the State of New York and the U.S.. PRTT’s lasting impact is felt in four decades of continued theater programming and audience development through the company’s four major programs: the MAINSTAGE, the annual SUMMER TOUR, the RAUL JULIA TRAINING UNIT and the PLAYWRIGHTS UNIT. 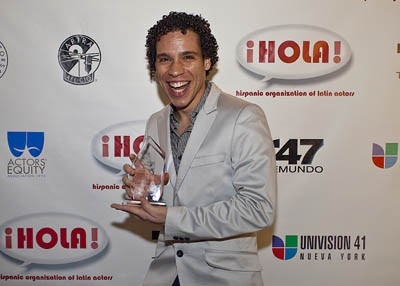 Awards include the ACE Hispanic Theater Award, New York State Governor’s Arts Award, HOLA Actors Guild Award, the Obie and many more. 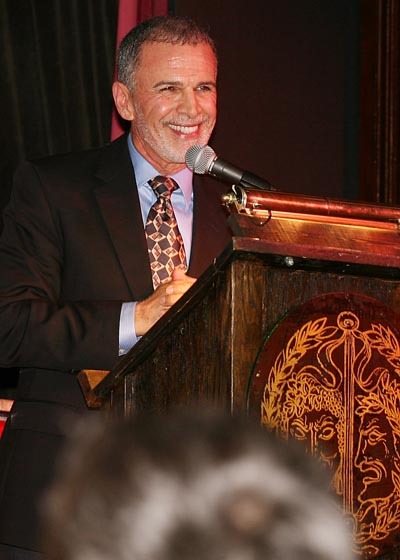 Since its inception in 1968, Repertorio Español has remained committed to its original founding mission of presenting the finest Latin American, Spanish, and Hispanic American theatre; creating and maintaining a professional company of actors, singers, and directors to perform works in the Spanish language and to bringing theatre to a broad audience, including Hispanics of all national backgrounds. Throughout its history, Repertorio has introduced thousands of adult and student audiences to the best theater from Latin America and Spain as well as plays by emerging Hispanic American theatre artists. The company’s artistic excellence has earned national recognition, including four Obie awards, two New York State Governor’s Art Awards, a 1996 Drama Desk Award, major grants from the National Endowment for the Arts, many national and local awards, including recent awards from Theater Communications Group and the Arts & Business Council. The Society of the Educational Arts, Inc./Sociedad Educativa de las Artes, Inc. (Teatro SEA) was founded in 1985 in Puerto Rico. The Company’s mission is to provide Latino children, youth and their families with training and access to arts and culturally relevant programming. Teatro SEA is New York City’s only Latino children’s theater marking a first for Spanish-speaking families, who now have a place to call their own. Through its diverse repertory Teatro SEA aims to introduce and preserve Latin American arts and culture for Latinos and initiate non-Spanish speaking audiences to Latino arts and culture. In addition, through its annual tour of children’s theater in Spanish, the Company brings professional, artistically excellent live theater directly to community centers, cultural venues, schools and libraries in neighborhoods where Latino’s live. For the nearly 100,000 disenfranchised Latino children and families the Company serves each year, often this is their first experience of live theater and their only opportunity to interact with professional Latino theater artists. Teatro SEA’s theater and puppetry performances and multidisciplinary arts programs are intended to raise self -esteem and to strengthen cultural identity by offering possible solutions to improving the quality of the lives of those served. Every month is Hispanic Heritage Month at Thalía Spanish Theatre, the first and only bilingual Hispanic theatre in Queens, New York. Thalía serves one of the most ethnically diverse communities in the United States, including more than one million Hispanics from all over the world. Thalía’s mission is to celebrate the vibrancy and diversity of Spanish and Latin American culture with unique productions of plays, musicals and dance. The theatre produces bilingual plays performed alternately in English and Spanish, cutting-edge world premiere dance musicals, and folklore shows of music and dance, and offers bilingual theatre workshops for youth and children as well as free outdoor festivals in local parks. The theatre’s more than 160 productions have won 152 awards for artistic excellence, including the 2009 Mayor’s Award for Arts & Culture and the 1997 New York State Governor’s Arts Award. 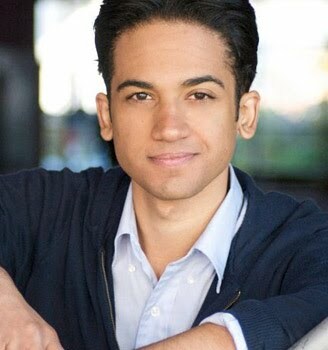 Stewart Villilo can be seen in Lanford Wilson's Balm in Gilead. Directed by Peter Jensen, the production is scheduled for an October and November run at T. Schreiber Studio in Manhattan's Chelsea neighborhood. Dominic Colón and Caridad De La Luz performed at the Hip Hop Theater Festival's Tenth Anniversary celebration where they acted in ten-minute plays. The celebration took place at The Cherry Pit in the West Village section of Manhattan. Chamaca Arts will present Farewell Silence ~ Hello Voice, a monologue and poetry performance of women’s voices. It is scheduled for a performance in October at the Abrazo Interno Gallery in the Clemente Soto Vélez Cultural and Educational Center (home to HOLA) in Manhattan's Loísaida neighborhood and is scheduled to feature performances by Peggy Robles Alvarado, María Aponte, Tatiana Dellepiane, Tabatha Román, Mía Román and Rhina Valentín. Jean-Marc Berne's music video for his self-penned song "Atrévete a Más" can be seen here. 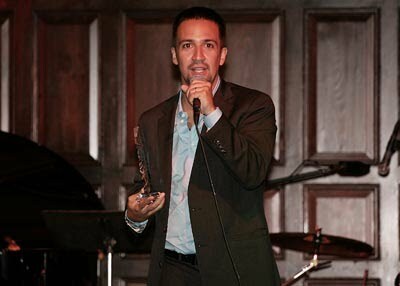 Robert Domínguez's play Midnight in Havana moved to the Snapple Theatre Center in the theater district of midtown Manhattan. 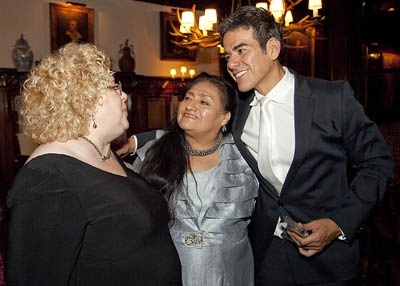 Two people in the show, Ydaiber Orozco and Freia Canals, shown at left, booked roles in the upcoming after reading about the casting in the daily e-mail of casting notices that HOLA sends to its members. 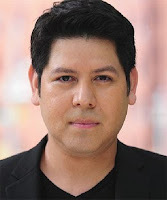 The show also stars Andrés “Chulisi” Rodríguez, Jeannie Sol, Alex Vallecillo Bone, Jaclyn Ramos, Dario Torres, Catalina Plaza, Wilson Flores, Scotty Batista, Domingo Roberts and Jose E. Figueroa, Jr.
Teatro IATI is set to premiere Haunting the Reynosos/La maldición de los Reynoso. The play, part of IATI’s Collaborative Theater Project (CTP), where the project is brought to fruition through a collaboration between the playwright, director and actors. The show, written by Henry Guzmán and directed by Roberto Cambeiro features Winston Estévez, Fabián González, Betsy Pujols, Laura Spalding and Teresa Yenque. The production, scheduled for a November and December run in IATI's namesake theater in Manhattan's East Village neighborhood, will be performed in English and Spanish with English supertitles. Pregones Theater is scheduled to present their new musical The Harlem Hellfighters on a Latin Beat. 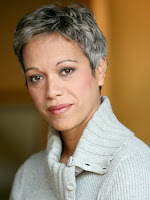 Based on historical facts, the production was conceived and directed by Rosalba Rolón with musical director Desmar Guevara. The production, which tells by the story of sixteen Puerto Rican musicians recruited to join the all-black regiment of the 369th Infantry during World War I, is scheduled for a November run at Pregones' eponymous theater in the Mott Haven section of the South Bronx and stars Puerto Rican legend Danny Rivera as well as Shadia Almasri, Otis Cotton, Yaraní Del Valle, Jesús E. Martínez, Omar Pérez and Antonio Vargas.